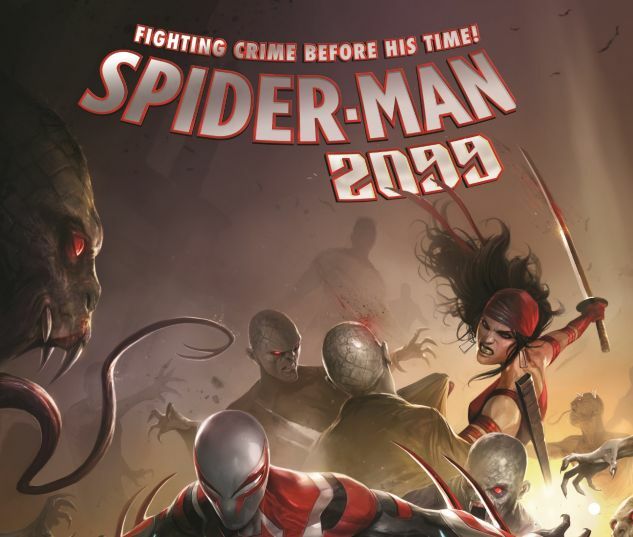 Spider-Man 2099 has learned the location of the headquarters of the Fist - the extremist anti-government offshoot of the Hand that put his fiancée in a coma - and he's ready to mount his attack! But it turns out that he's not the only one investigating the radical group. Elektra Natchios, Marvel's most deadly assassin, has her own reasons for hunting these terrorists. Can Miguel trust this mysterious newcomer, or is she yet another obstacle in his quest for vengeance? And even if Spidey and Elektra team up, the Hand has upped the ante big-time - calling in an ancient evil to help them bring about the end of the entire world! How can the future Spider-Man prevent certain doom when Armageddon is written in the cards? Collects Spider-Man 2099 (2015) #17-21.